Carpenter bees are a species in the genus Xylocopa of the subfamily Xylocopinae . 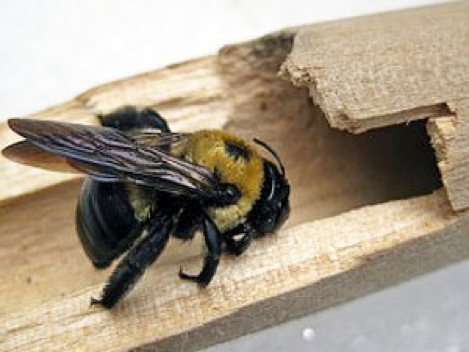 The Carpenter bee is named for their nesting behavior almost all carpenter bees burrow into hard plant material such as dead wood or bamboo although some dig nesting tunnels in suitable soil. Carpenter bees have short mouthparts and are important pollinators on some open-faced or shallow flowers. They use wood bits to form divisions between the cells in the nest. Tunnels are near the surface so structural damage is generally minor or superficial. To rid them from your area, contact us here at Local Pest Control and we’ll go to work.